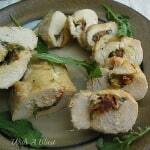 I made this Tomato and Mozzarella Stuffed Chicken on a recent Friday night for dinner. However, I made a double batch and served the cold Chicken sliced into rings the following day and added it to our savory platter to snack on whilst watching Rugby. It was delicious both ways ! I did however wrap the Chicken, kept for the following day, in plastic wrap and did not slice the rolled pieces until just before serving. This way, the Chicken did not dry out at all and was still tender and juicy the next day. 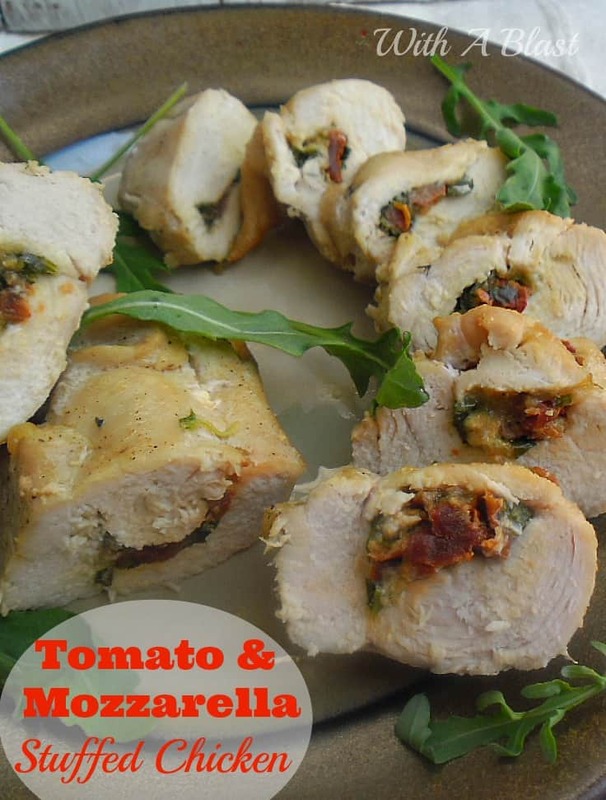 The filling ingredient quantities are delicious and well balanced as per the recipe I am sharing below, but if you prefer a cheesier filled Chicken for dinner (or snack), add some more Mozzarella. 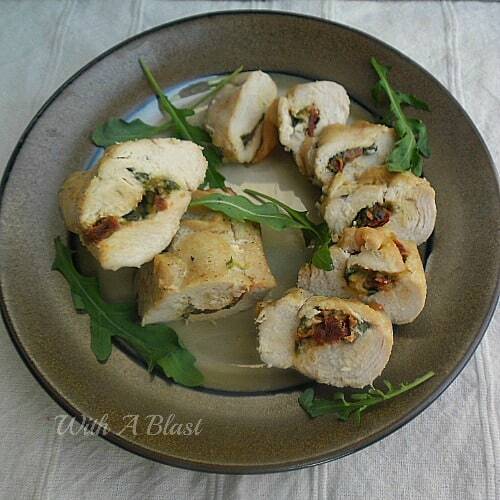 There are really no rules when it comes to a filling similar to the one I used in this Stuffed Chicken, increase or decrease the quantities to your preference. Serve with mashed potatoes, rice, vegetables and/or salads. This is also delicious when cold, sliced into wheels. Looks fantastic Linda, I can never get my stuffed chicken to roll up nice like that. We are big sun-dried tomato fans. In fact, I named my boat Sun-dried:) Great to have something some versatile. Looks like a delicious meal, will definitely be giving it a go. This looks so stinking good! The mozzarella and tomatoes are right up my alley. Thanks for sharing. Stopping in from the link up today! Oooh yum! This looks delish! I can't wait to try. Thanks for linking up to Snickerdoodle Sunday! What a nice dish for special dinners. Hope you are having a fantastic weekend and thanks so much for sharing this awesome post with Full Plate Thursday. Beautiful, Linda. This would be a nice dish to serve to company. I've always had a weakness for "stuffed" food. I want a bite. Looks so delish!